PEN - DESCRIPTION Our 24K handcrafted pens are a great compliment to the Musicians Mechanical Pencil. 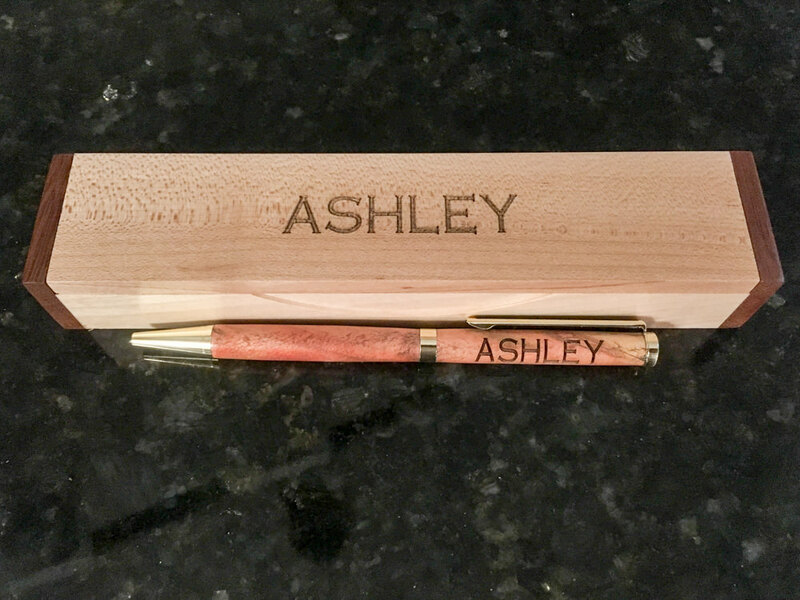 The can also be made with the wood of your choice, and engraved which make great gifts for yourself and others. They are made with high quality mechanics underneath the beautiful wood exterior make for a smooth twist motion to open and close the pen. Our twist pens come standard with a medium ball, blue ink that can be refilled with Cross style .12" dia x 4-9/16" long refills. The 24kt gold uses a "premium rack plating" process and is covered with an epoxy coating for extreme durability. 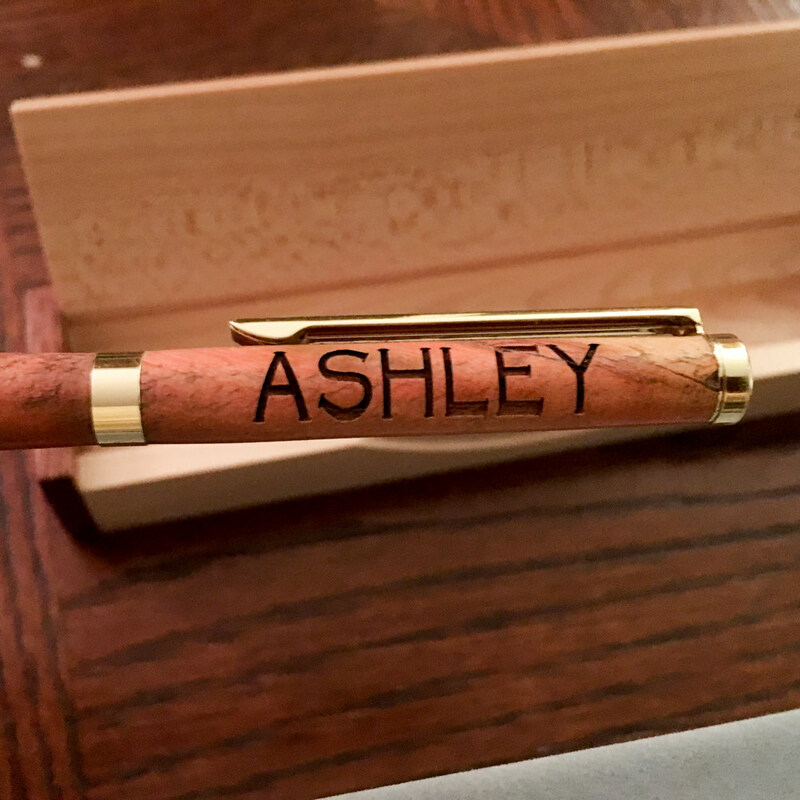 We use the same finish on our writing Instruments as our batons which allows you feel the natural wood.